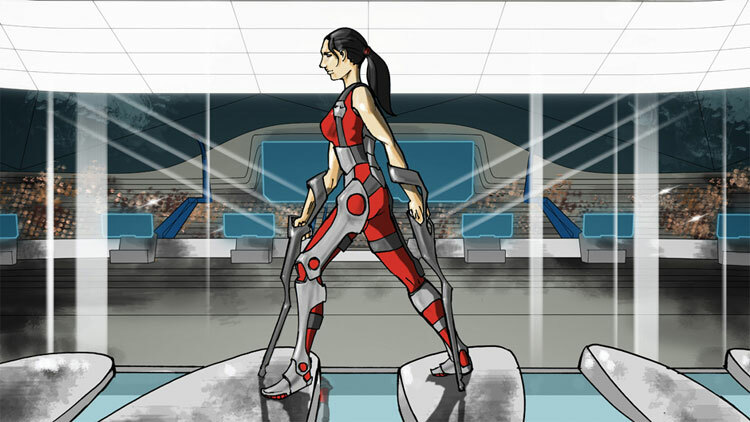 Switzerland is now going to be the first country to host a Cybathalon – an Olympics for bionic athletes. The Cybathalon will be an international competition in which athletes who use prosthetics or other aids can compete. The first ever Cybathalon will take place in October 2016, run by The National Centre of Competence in Research. The competition is going to be directly modeled on the Olympics, featuring six events for competitors to take part in, including a leg race, bike race, wheelchair race and exoskeleton race. There will also be a Brain Computer Interface race for competitors with full paralysis. Competitors are encouraged to use cutting edge technology, and for each race there will be two medals – one for the athlete and one for the company that developed the technology. On Tuesday it was announced that social media giant Facebook had acquired virtual reality company Oculus VR for £1.2 billion. The company creates headsets that allow you to immerse yourself in the world of reality, predominantly through video games. This could change though with the scope it offers marketers. Using the headsets travel companies could really show people the holiday destination of their dreams. Estate Agents could provide room by room tours of houses and businesses could use the headsets to show employees training videos. The acquisition has not been met with total glee though, as users of crowd funding website Kickstarter, who helped to raise £1.45 million for Oculus have lashed out at the deal. Many see it as a sell out and others have even called for a refund. Twitter has now launched a new feature that allows users to upload up to four photos to any tweet and then tag up to ten people in the photos. Currently the multi-photo option is only available on the iPhone app, but it will be rolled out to Android and web users soon enough. Tagging people in pictures works in the same way that mentions in a tweet do, but the names are entered during the photo attachment process. Those tagged in your photos will then be sent a notification and can opt out if they don’t want to be tagged. Luckily tagging users does not add any characters to the tweet count and could signify a positive move from Twitter to hide the “scaffolding” of tweets that can often take up a lot of room. This new feature shows that Twitter are serious in making the social network a photo sharing platform and competing with the likes of Instagram. Rumour has it that Google is going to launch a YouTube site aimed solely at children under the age of 10. There is no date for the platform to go live yet, but many producers are already interested in it. YouTube does have a safety filter on the site, but unfortunately things will always slip through the net and who really wants their children to see Miley Cyrus swinging on a wrecking ball, however much they liked Hannah Montana. The other problem with YouTube is that often the comments can be the most shocking part and sometimes young children browsing videos can easily see them. This could be a great idea, giving younger children the freedom to browse videos specifically targeted at their age group.